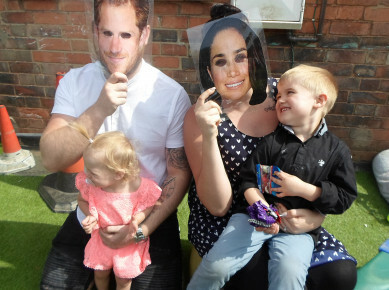 Our children here at Busy Bees in Loughborough thoroughly enjoyed having a party in the garden for the Royal Wedding of Prince Harry and Meghan Markle. 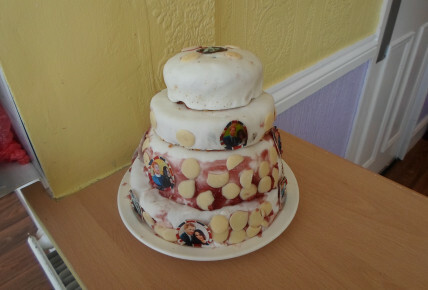 In preparation for the party our children all helped to create a beautiful 4 tier wedding cake. Each room weighed and mixed the ingredients together. Then they poured the mixture into a cake tin ready for our chef to bake it. 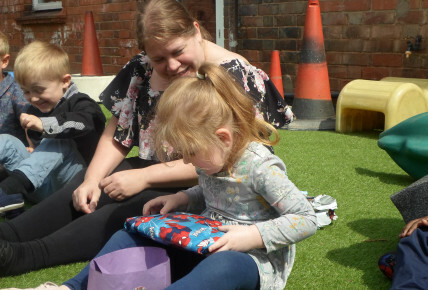 After it had cooled the children decorated the cake with icing, cake toppers and chocolate buttons. 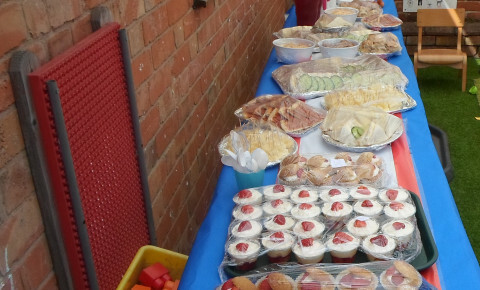 Our parents and children then came together for party games, dancing and lots of fun in the garden followed by a delicious homemade buffet consisting of sandwiches, sausage rolls, pizza, crisps, salad, trifle and cake. 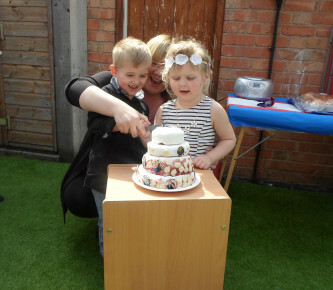 The children cut the cake in pairs. We all came to the party in our smart wedding clothes. 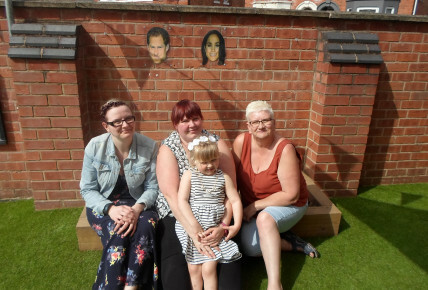 Lots of fun was had by all, thank you to all the parents and Grandparents who came along.